Mother nature served the perfect weather conditions for our outdoor family session this morning! Cool, wintry, cloudy, but dry enough for us to entertain two year old Liv. The best natural light filter for free. We shot at one of my favourite locations – Bicentennial Park in Olympic Park. The park itself is so versatile, and provides many settings for couples, children and families alike. I met little Liv and her family through mother’s group and had taken their family portraits under a year ago. This time however, we had the addition of some very special family members, the grandparents from both sides of the family. 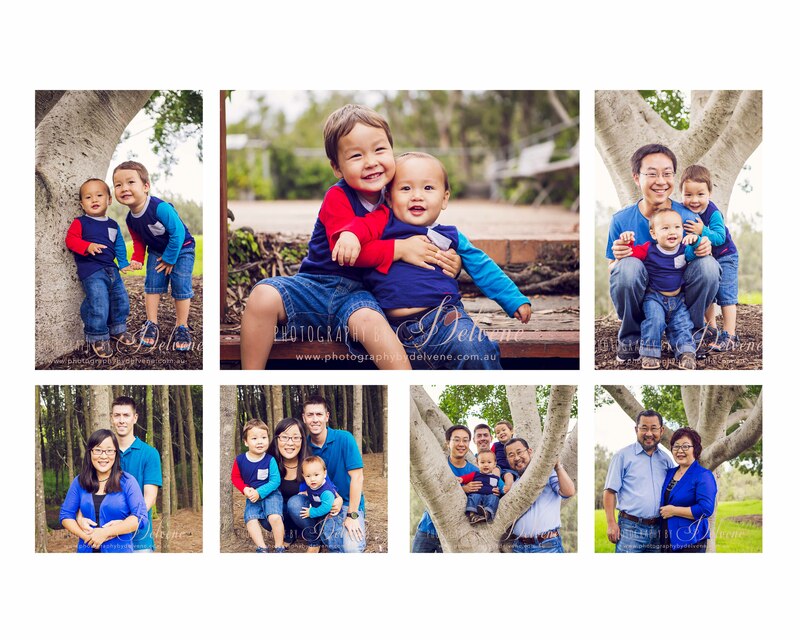 It’s always a wonderful touch to be able to include extended family in portraits, especially while the kids are this young and not able to see them on a regular basis. The other bonus is witnessing five adults simultaneously acting silly to get laughs out of the toddler you are trying to capture! Liv was an absolute delight too! She was recorded bopping to her favourite Hi-5 songs with mum and dad, throwing winter leaves and twigs up in the air and playing peek-a-boo behind the trees. 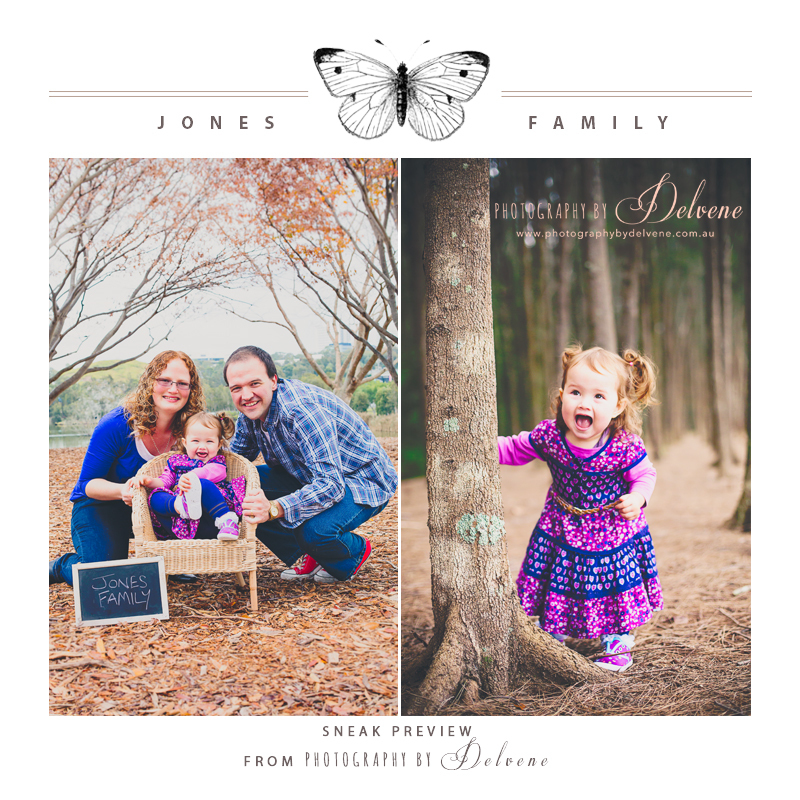 If you are interested in booking a family session with me or getting more information, leave me a sweet little note through my Contact Page or visit http://www.facebook.com/PhotographyByDelvene. Don’t forget to like us and share our page! A couple of weekends ago I caught up with an old friend who now lives in the US. I have been taking their family portraits for awhile now, but each time has always been a special one with the addition of a new family member! For the first time I finally met her brother, hubby and their second addition. The day was little wet but we managed to get some beautiful shots, especially of the two boys. 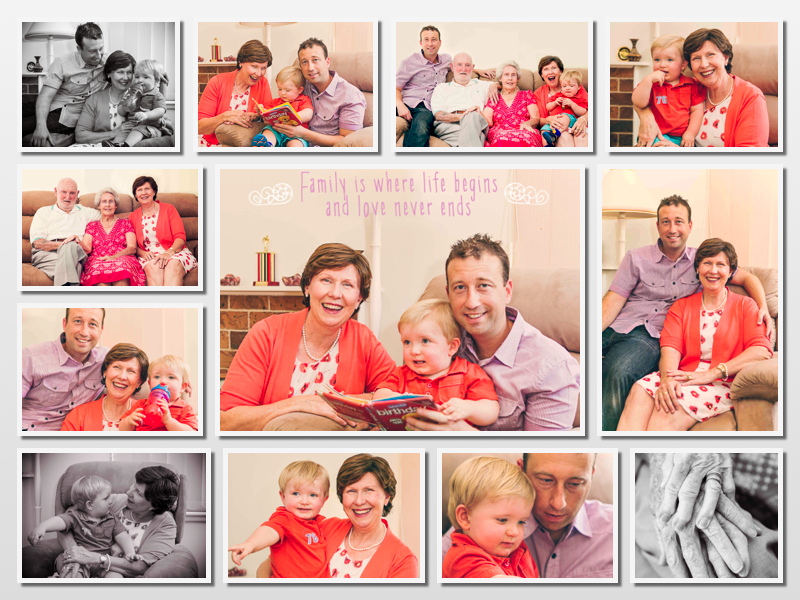 If you would like to book in for a family portrait drop us a line on our Contact page. Like us and share on Facebook: https://www.facebook.com/PhotographyByDelvene. This is a family session I captured a couple of weekends ago. Their portraits were taken at their family home and I was absolutely blown away by how welcomed they made me feel as soon as I entered their home. What made this portrait session special was the gathering of four beautiful generations under the one roof. Little Aiden is the same age as my son and so naturally doesn’t like to stay still! I was definitely impressed with Grandma’s patience and strategy to have him cooperate! If you would like to enquire about having your family portraits captured, contact [email protected] or send me a sweet little note via the Contact page.